Outside linebacker coach Jovan Dewitt estimates that he has eight or nine outside linebackers that are healthy and competing for spots right now. He’s been trying to match them up as different pairings to see who works best together. Suffice it to say, he has no shortage of options in his position room. One player that figures to have a prominent role as an outside linebacker in this defense for the 2018 season is Ole Miss transfer Breon Dixon. Until Nebraska has a player in Lincoln that has an impact like Shaquem Griffin did at UCF, the coaches will be consistently asked about players filling that role. Could Dixon have a similar role as Griffin did for UCF last season? 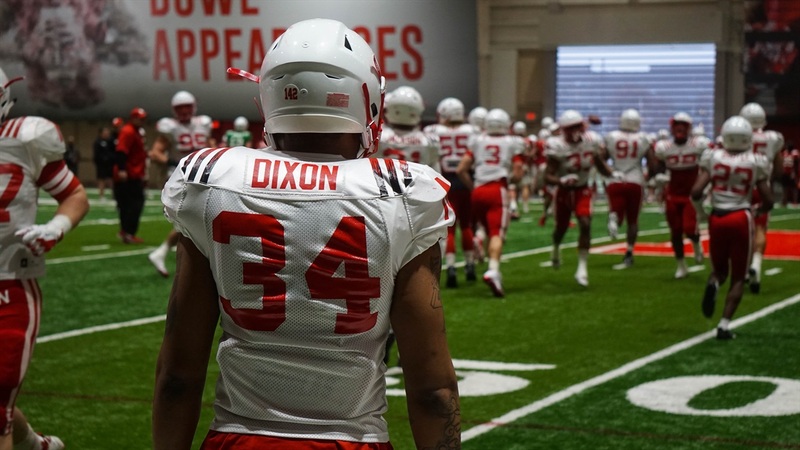 The elephant in the room however, is that Dixon is not currently eligible to play right away for Nebraska. The NCAA has seemed in no particular rush to rule one way or the other on Dixon or any of the other Ole Miss transfers at other schools. How does Dewitt manage the reps given Dixon’s unique circumstance? Even though there are a good number of outside linebackers to get ready for the fall right now, there are some big names potentially waiting to make an impact. Dixon is waiting for a decision on that waiver, Luke Gifford is currently out with an injury and 4-star 2018 signee Caleb Tannor is on his way this summer. Dixon has SEC experience, Gifford has played significant snaps effectively and Tannor was one of the crown jewels of the staff’s first recruiting class. Can you allow yourself to think about what things could look like as you get current players reps? Once the Huskers have their full complement of players at the outside linebacker spot, it will be certainly be a position to watch in the fall. The Dewitt Bank of Reps can only help the group get up to speed in year one of this new attacking defense.